Did you know that Symantec surveyed over 15,000 mobile device users back in May 2017? And the key study findings were really surprising: people would do almost anything to get access to high-quality, free Internet access. About half of them ask for the hotspot password only a few minutes after they arrive at a hotel, a cafe, or a friend's place. 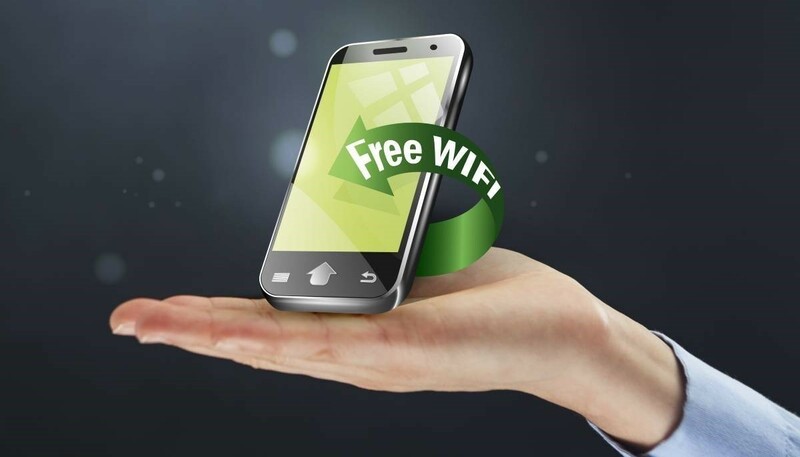 According to Data Alliance, almost 80% of people will avoid hotels that don't offer free Wi-Fi. Still, very few of them are aware of the huge risks that arise from using public hotspots. So, here's what you need to do to stay safe online, even while you are accessing a public wireless network. 1. Always choose a secure Wi-Fi network. It's easy to spot one, because it has a lock icon next to its name in the network list. Secure networks are harder to break into, and most of them will require a password. If the networks you are seeing are open, one (or several) of them may be set up by cyber criminals, who are eagerly waiting for you to connect to their networks, and then steal your data and passwords. 2. Use a virtual private network (VPN). It's the only way of increasing Internet connection security to acceptable levels while you are using a public network. Sadly, as highlighted in Symantec's study, three out of four people don't use VPNs. A virtual private network allows you to connect to the desired websites through a virtual tunnel which encrypts all the data that is sent back and forth. Yes, it's that easy, and it really works! Especially if the remote site uses the secure HTTPS protocol. Often, VPN providers offer their services for prices that range from $5 to $10 per month. Still, some of the less known virtual private network providers will often have flash sales, allowing you to purchase 5-year licenses of their products at very affordable prices. So, search Google for "VPN deal" each week, and you may end up purchasing a good VPN for a modest fee. 3. Don't access sites that require sensitive information and passwords. Yes, check the balance of your online banking account only when you get home. It's the only way of ensuring that your passwords continue to stay safe, especially if you aren't using a virtual private network. In fact, the minute you access a website or service which requires your user name and password through a public hotspot, you may expose that information to prying eyes. And if you really need to access an important website through a public hotspot, be sure to enable its two-factor authentication security in advance. By doing this, you will only be able to log in after you have input the regular password AND a six-digit code that was delivered by SMS. This should keep most hackers away; don't forget to change the password after you return home, though. 4. Disable network sharing. While it may be okay to share device resources with other network clients when you are accessing your home network, you don't want to share anything while you are connected to free Wi-Fi. So, disable resource sharing for all the installed applications to be on the safe side. If you've got lots of apps that may share data on your smart phone, be sure to set their permissions accordingly. 5. Finally, keep your operating system and applications up to date. Hackers will often scan your device for known vulnerabilities, but fortunately the OS or app maker has already patched them. Use this to your advantage. These are some of the best measures that you can take to stay safe online, even while you are using public hotspots. It's best to minimize your online activities while you are away, of course, so make sure to disable Wi-Fi whenever you don't need Internet access.